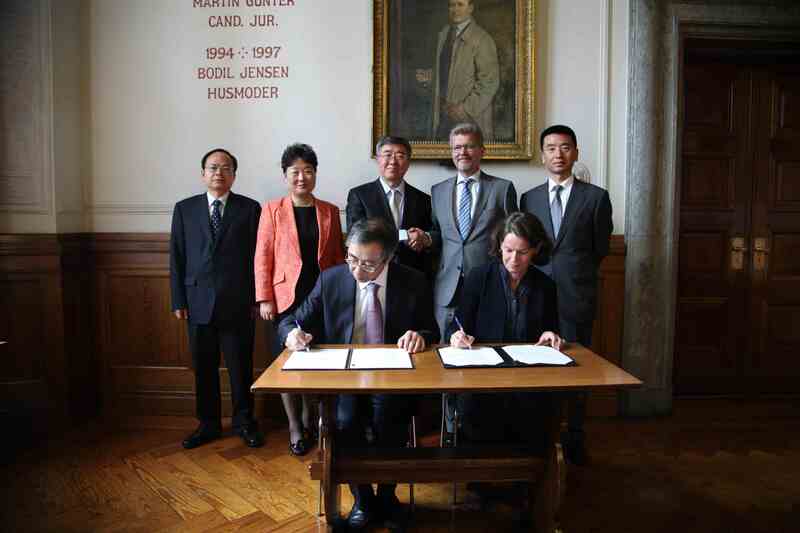 On May 17th, 2018，Ambassador Deng Ying accompaniedVice Mayor Sui Zhenjiangof Beijing, to meet with Mr. Frank Jensen, the Lord Mayor of Copenhagen.Both sides exchanged views on various topics covering urban planning and sustainable development, etc.After the meeting, Mr. Sui and Mr. Jensen witnessed the signing of the Agreenment on Joint Work Plan for 2018-2021 between City of Copenhagen Lord Mayor’s Department and Beijing Municipal Commission of Urban Plannning and Land Resources. The two cities are committed deepening cooperation in urban planning and sustainability. Ambassador Deng received Vice Mayor Sui in her residence on the following day.They emphasized the importance of deepening practical cooperation between Beijing and Copenhagen under the framework of sister cities. 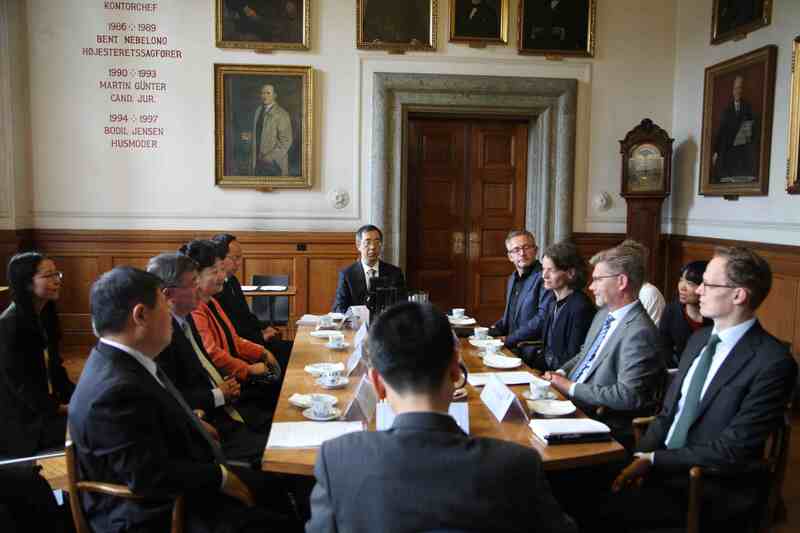 Mr. Sui and his entourage visited Denmarkfrom May 16th to May 19th, at the invitation of the Municipality of Copenhagen. During the visit, the delegation toured the Urban Planning Department of Copenhagen, and exchanged views on livable cities,city sustainability and heating supply. The delegation visited Nordhavn, Carlsberg District, Blox, and the Royal Library. In addition, the delegation paid a visit to Mr. Steffen Jensen, Mayor of Halsnæs Municipality, and toured the Hundestedport.